Saint John Neumann is a community that can take pride in the level of support its parishioners have historically demonstrated. From the first gatherings at Belmeade until being named a parish in 1948, our faithful parishioners have always responded to the need for growth. The Living Our Mission campaign is an opportunity to take the next step in growing our parish and that of the Diocesan Church as well. My first pastor taught me a lesson I have never forgotten: “The Lord will not be outdone in generosity.” Over the years of my ministry I have seen that reality over and again. Someone gives to the Lord, and somehow the Lord returns the favor, often in larger measure. Saint Paul states it clearly: “The Lord loves a generous giver.” When we choose to give generously and sacrificially, we imitate God who did not spare His own Son for our salvation. I am supportive of the Living Our Mission campaign because it will allow us to Refresh Our Church, Provide for Our Future and Expand the HEN Pantry. At the same time we will be helping our Diocese meet the larger needs of our Church and advance its mission. Please prayerfully consider your support of this effort. Saint John Neumann prides itself on being a warm and welcoming environment for visitors and those who call our parish home. This is reflected in our ministries and people, but it is also reflected in our building and grounds. Like any parish, we must continually refresh our surroundings which means upgrades, maintenance, and repair. With a portion of the funds returned to us from the Living Our Mission campaign, we will be able to accomplish our more immediate goals of resurfacing the parking lot, painting the exterior of the building and repairing all the windows in the Cupola. Our parish must be in a position to not just address the immediate capital needs, but also those for the future. As a part of our long-term capital improvement plan, we will need to add additional office space, create adult-only bathrooms and pave the rectory driveway. The Living Our Mission campaign will allow our parish to begin saving for these projects that may occur within the next five years. The HEN Pantry is a cornerstone ministry of Saint John Neumann. Its purpose is to provide food for the Hungry, Elderly and Needy of Powhatan County. On an average monthly basis, the parish serves 100 families in need of basic necessities. Unfortunately, the need for its services has been steadily increasing. 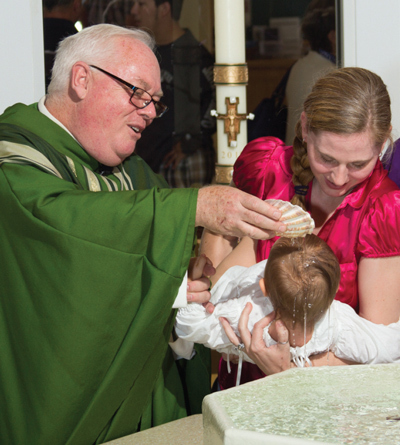 In order to meet the future demand, our parish must look to expand its support of this vital ministry today. 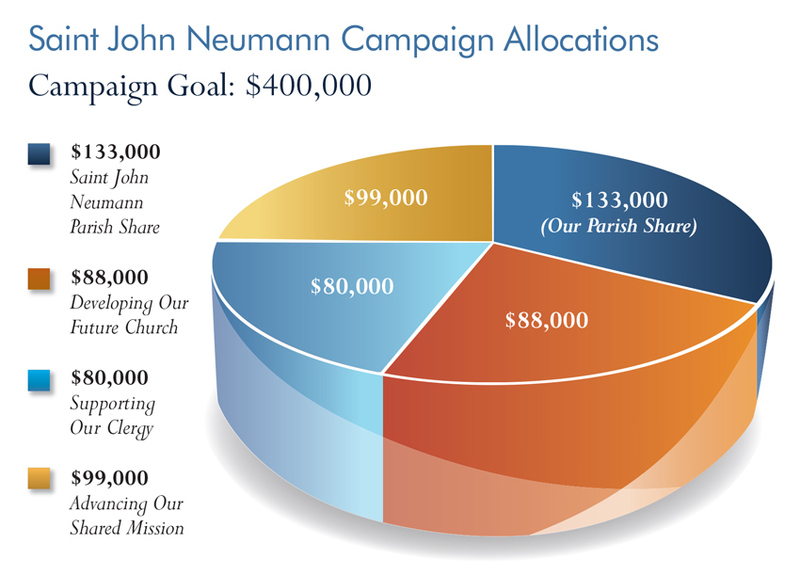 Living Our Mission will allow Saint John Neumann to achieve this goal by expanding the space and creating more manpower in order to keep it operating efficiently. Not only will our efforts better serve the community, we will also ensure that those in need are never turned away. From the first gatherings at Belmeade until being named a parish in 1948, our faithful parishioners have always responded to the need for growth. 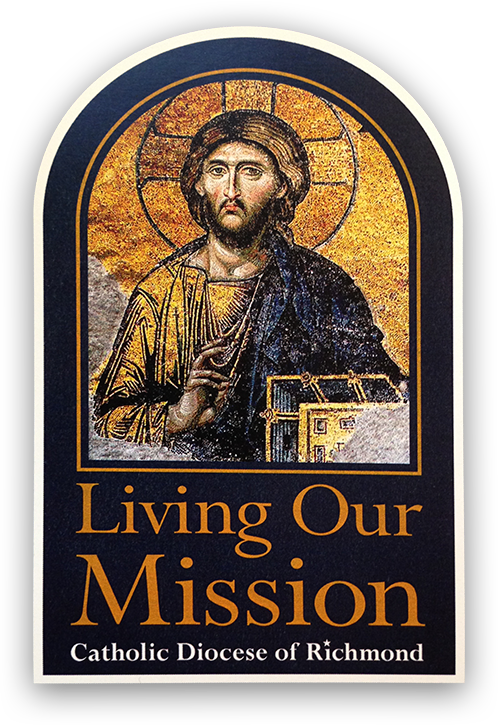 The Living Our Mission campaign is an opportunity to take the next step in growing our parish and that of the Diocesan Church as well.